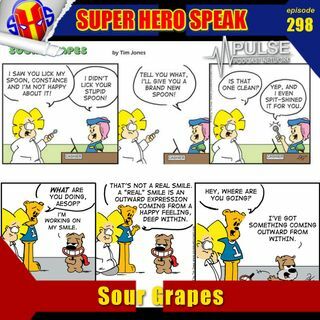 This week the guys are joined by the creative mind behind the syndicated comic strip Sour Grapes, Tim Jones! This is the first time we've had a comic strip creator on the show so the guys are full of questions. They also they give the latest updates on #NerdMadness and talk some Marvel and DC news. Plus John has ANOTHER Hans Zimmer melt down. All this and much, much more, enjoy!